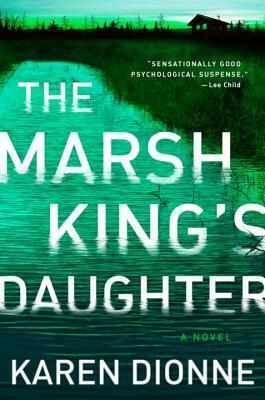 Today I'm featuring the book I just started reading, The Marsh King's Daughter by Karen Dionne (borrowed from the library). If I told you my mother's name, you'd recognize it right away. My mother was famous, though she never wanted to be. Hers wasn't the kind of fame anyone would wish for. Jaycee Dugard, Amanda Berry, Elizabeth Smart--that kind of thing, though my mother was none of them. You'd recognize my mother's name if I told you, and then you'd wonder--briefly, because the years when people cared about my mother are long gone, as she is--where is she now? And didn't she have a daughter while she was missing? And whatever happened to the little girl? These opening paragraphs piqued my curiosity and engaged me enough to continue reading. I just have to know more about this mother and daughter.